Your teeth are very strong and can resist most things life throws at them, but they are vulnerable to certain types of injury. Two of the greatest dangers to your teeth are contact sports and grinding. Both can cause major damage to your teeth, gums and jaws. Newcastle Village Dental offers custom-made bite appliances and sports guards to protect your teeth and ensure they last for a lifetime. Although contact sports such as hockey present the greatest risk of injury to your teeth, there is potential for injury from almost any sport. 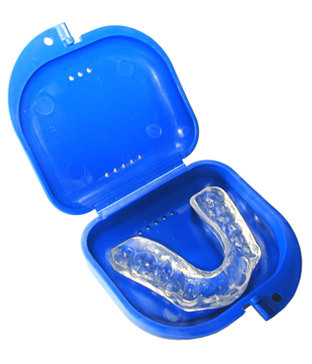 The best defence against injury is a custom-made sports guard that fits comfortably over your teeth and protects your teeth from impact, leaving you to focus on your game. Many people grind or clench their teeth at night. The condition, known as bruxism, can have serious implications for the health of your teeth and jaw, and if not prevented can result in the enamel on your teeth being worn away or damage to your jaw. One treatment for bruxism is a custom made bite appliance that holds your teeth and jaw in place, preventing you from grinding your teeth. Protecting your teeth from injury is a priority. If you play sports or grind your teeth, you should consider a guard or appliance.Contact our office to learn more.